I live 3 miles west of Oak Park Mall. The reason I was asking about being a Brony is that I have plans to meet up with one possibly two and I was gonna see if you wanna join. Hell if we both live so close to the mall let's meet up there again. Well I live down in Lenexa. iirc you live in North KC right? Before we deiced on a location, I must ask, are you a brony? It has been far too long, I keep forgetting about the websites I use to frequent because I have been so busy. I am finally out of school now though. I have a job and I work less hours than I use to. So much free time I must figure out what to do with. Oh, and I live in Kansas City now. So how are you hows it going? Hows it been? we need to catch up. I'll try and get back to this site soon. Happy Birthday! Long time no chat. I envy your female Dewott. My Oshawott is a male, but all things considered and how difficult it would be to fight both rivals over and over until I got a female with a decent nature, I just stuck with my bashful male. C'est la vie. I do not have a Zebstrika yet. I have a blitzle, but he's only at level 23. Sometimes I refer to him as "Oshie" or, more frequently, "Wottie"
However, my brother (though he didn't TECHNICALLY nickname them) calls his Pignite "Porkloinio", his Patrat "Fat Faec", his Pansage "Mojo Jojo", and his Roggenrola "Dented Blueberry". Nope. 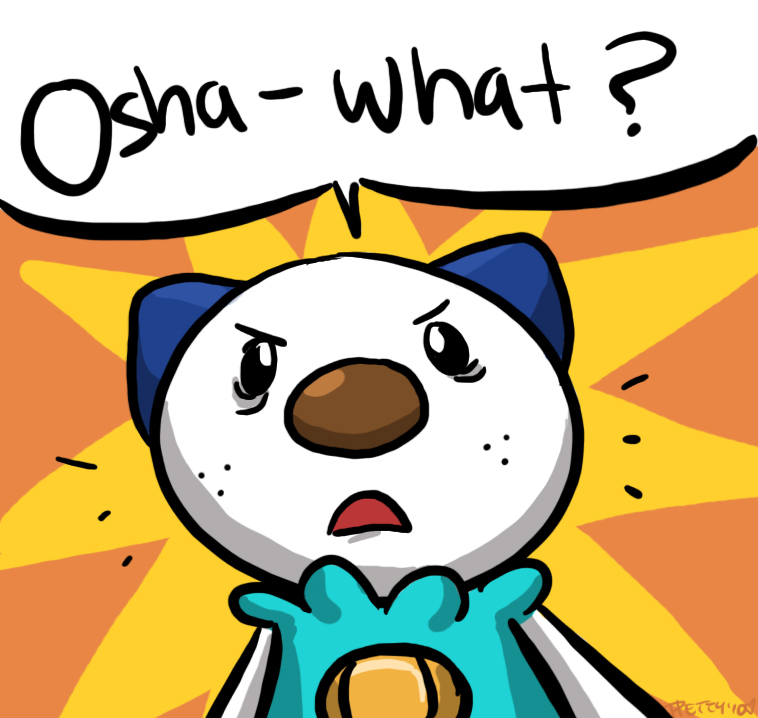 He's a level 23 Oshawott. They don't stay in their little cute forms long enough for me, so I keep them from evolving until around level 30 or 40. None of my pokemon have evolved yet, and I'm standing at the entrance to Nimbasa City. In other news, my brother's level-17 roggenrola single-handedly defeated Lenora. It was FREAKISHLY epic. Pretty well. I found out MS Excel is, like, the best calculator on the planet, so statistics is going to be much easier now. I'm apparently an assistant chat mod in the RP room on VRIM now, so that's pretty exciting. I'm very excited for Sunday, as you already know. And how about yourself? how are you? Yeah I though of awesomefacefutachimaru last night in class and when I got home I was bored so I whipped that up. 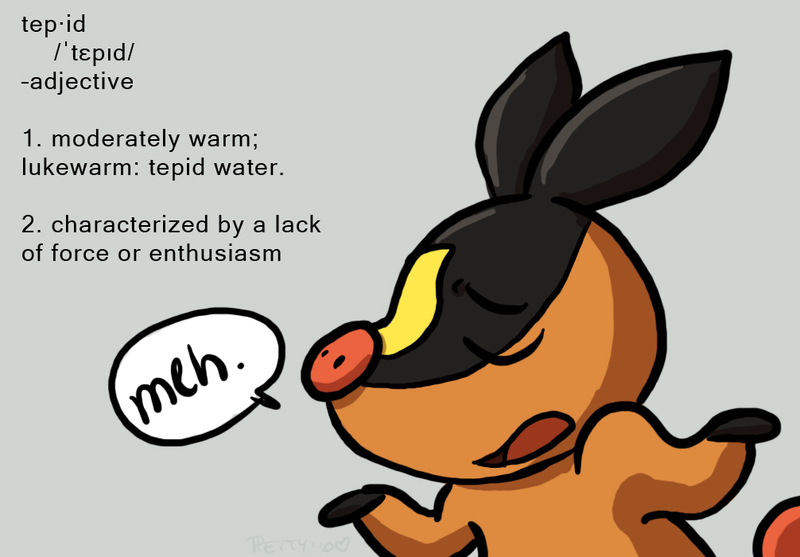 And I liked all of the names except Tepig, which I don't think I am going to like anytime soon. But we'll see. ROFLMBO at the faec Futachimaru! I was upset with Oshawott at first, but it grew on me very, very quickly. I actually like all of the names, with the exception of tepig. It sounds alright, but doesn't make much sense to me. Thanks, I had a good day today. see my other new toy? Yep thats good enough... I'll smooth out some of the edges during coloring, and shadow will make the stance look better. I hope that's good enough for you. I did my best, but the stance still turned out a bit wonky. Yeah but Typhlosion is big enough to make a great personal heater and bed/pillow all in one, with Quilava its body size is simply not large enough to heat you by simply hugging it. Cyndaquil's nose is too long (though it's still cute). Typhlosion is way too bulky for my liking. The body is too wide, looks kinda hunch-backed, and the limbs are stubby. Quilava is a perfect balance between the two. That's not to say I dislike typhlosion; it's a pretty good special sweeper. CUTE Futachimaru in that one picture! In the cyndaquil-line one, they messed up; quilava has three spots on its backside. PokeCommunity has customizable user profiles, I customized mine to show you what I meant. Thanks for the link, Bui. I'll check it out tomorrow. I don't know how to do that yet, Bui. I've only been working with CSS style sheets on my own time for three days. I don't have web design software. I have to do this by going through notepad and opening the file in a browser. you sure... its not that hard. Oh, wow... Sorry, Bui. No can do. That's beyond my scope right now. I'm still getting the hang of simple re-colors! I'll get to that some day, but not for a little while yet! Okay forget what I said about the colors before hand, I bumped a button in paint.net and changed the colors back to Black and white and it look really good, so here is my idea. a grey (a darker shade would be better than the one I have in the example) fading to white as the background color, then you could also put something ontop of that image (as shown by the scryble) and finally you have the tables with a simi transparnet image (click to downlaod the one I made for this) with white text... Would make a greate BW theme for Gen V add a nice custom banner and wala: BW theme.... so? Background blue or light blue, text white, and tables use an image that is black that is about 20% see through... I can't think of the excat word but I can show you in a few minutes. Sure! Ultimately, it will depend on if Cat likes it. I'm glad to do it anyway, though! I can use the practice. Can i make a suggestion for one? About a week. It's pretty simple right now; I hope to make them a little more complex as I get better at it. So when can we expect to see your work?